WHAT IS V247 MOBILE DATA? Need to stay connected? Leave your PC at home! With V247 MOBILE DATA, you have 24 hour access to all your internet, social media, and picture messaging needs right at your fingertips! WHICH PLANS ARE ELIGIBLE FOR DATA FEATURES? All our plans are have DATA capabilities. 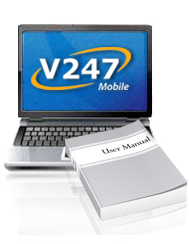 Your V247 Mobile service must be ACTIVE in order to configure DATA features on your phone. UNLIMITED/MINUTE Plan users: your plan already includes DATA features, You must add the Feature Card to your ACTIVE V247 Mobile account to enjoy the DATA features you love the most. CLICK HERE for more details on Feature Card. If you are not sure what V247 Mobile plan you have Check now! CAN I CONFIGURE V247 MOBILE DATA FEATURES ON MY PHONE? Yes! You can enjoy the best GSM network on your favorite phones. All you need is an ACTIVE V247 Mobile service account. IPhone Users: CLICK HERE and enter your wireless number and we'll send you a link to configure DATA features on your phone. 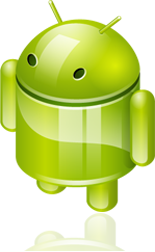 Android Users: Go to the AndroidTM Market and download the "V247 Mobile-Config" app to auto-configure your phone. CLICK HERE for more details. 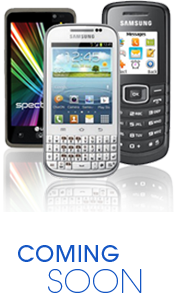 All other Phones: CLICK HERE and enter your mobile device and enter your wireless number. You will receive a link via text message to configure the features included in your V247 Mobile plan.